The dog trainers I work with are all of African American descent. One of them collects ethnic art work and she also adores babies. Every time a baby comes in to the training center with a parent (and dog), my trainer lights up. So when I found this un-named pattern, house brand ethnic fabric at Jo-ann's Fabric and Craft Store I knew I had to make an African Village quilt for her. I decided I wanted to have a village and a river since some of the women are carrying water jugs on their heads. Here is the design I created on my computer with the program EQ7 (Electric Quilt 7). 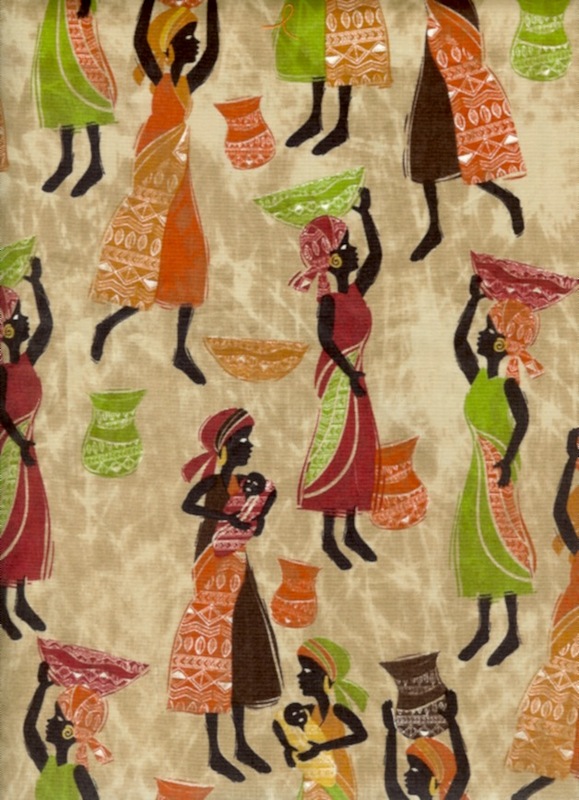 I scanned and imported the ethnic print fabric and the batik I'm using for the river. The other fabrics are in EQ7's stock fabric library and are close approximations of what I plan to use. I'm working on this quilt this week and will post new blocks and PDF patterns for them on Wednesday, August 6 and Friday, August 8. 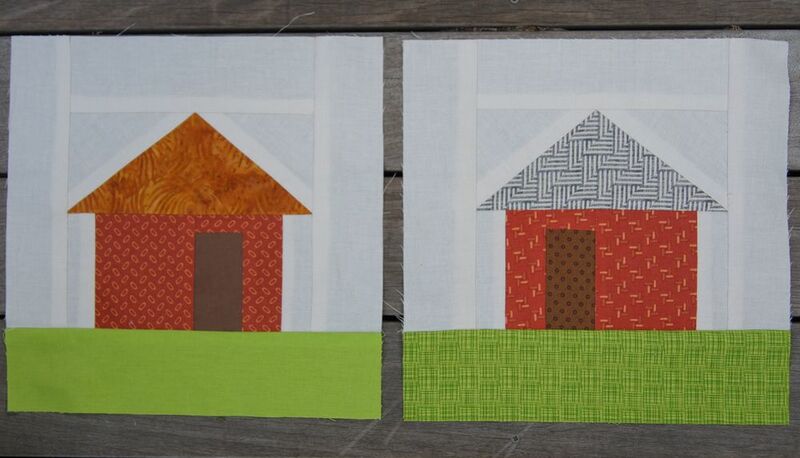 Here are links to the PDF paper piecing patterns for African Hut 1 A and 1 B. The huts are the same but the door face slightly different directions. Print out 2 copies of step B, one for each hut. The 1/4 inch seams are very faint on these PDF files. Make sure you allow for the 1/4 inch seams around the outer edge of each section. The unfinished block measures 9.5 x 9.5 inches and will finish at 9 inches square. This is a great quilt for using your scraps. If you wish to purchase fabric, here is the estimated yardage. Let me know if you plan to make this quilt too so I set up a link or place to share your work. I hope you'll join me!